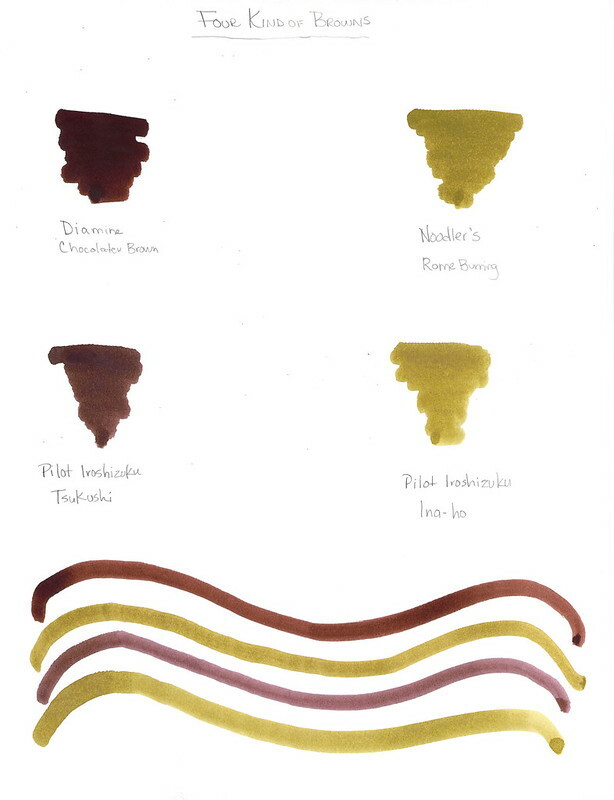 I love Diamine Chocolate Brown – the deep, rich saturation – yum. It seems to have less red in it than Private Reserve Chocolat and I like that. This entry was posted in INKS and tagged brown, diamine, noodler's, pilot iroshizuku by Christine (Pentulant). Bookmark the permalink.